Our friends at Mesa TV & Appliance are sharing their huge February savings with us. 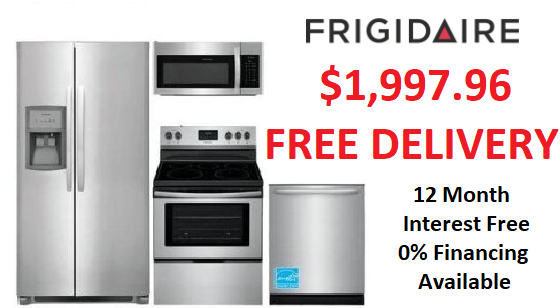 Learn how you can take advantage of this great deal on this 4 pc Frigidaire appliance deal. Give us a call today (480-758-5286) and ask about our kitchen remodeling packages under $10K.